Staying focused in a social world is becoming more and more complex every day. It's not uncommon to be inundated with tweets, facebook posts, IM's and other communications throughout the day. Although I feel that I've done a reasonably good job of managing these "updates", I have to admit that it's quite distracting. 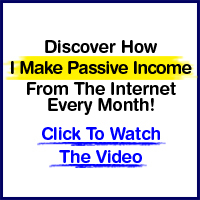 Those who are successful with online marketing or marketing in general have learned to focus. I've been working towards improving my focus each day and reminding myself that I'm in control of my schedule. I know this is easier said than done. That said I wanted to share my strategies for staying focused on your most important marketing projects and getting them done. Here are my tips and strategies for staying focused, being productive, and getting results. 1. Write down all of the goals and tasks you have. I never realized how exhausting it can be to keep a mental list of everything you need to do in your head. For a long time I've been in the habit of writing my goals and tasks down every day. Although my goals don't change daily, my tasks do. The great Earl Nightingale once said that, "you can't manage time, only tasks." And he was right. Each day, write down the top 3 - 6 things that you must complete to move you in the direction of your goals and don't go to sleep until you've accomplished them. 2. Turn off the noise. You don't have to unplug completely from Twitter, Facebook, LinkedIn, or Pinterest, but you should schedule time each day to login and interact. When you establish times to engage, you'll be much less reactive and more in control of your time. 3. Every day, spend a few minutes prioritizing. If you've created a list of tasks, you're half way there. The second step is to prioritize your list. Start with the tasks that take the least amount of time to complete. Are there a couple of tasks that you can knock out in a few minutes? If so, get them done. You'll feel a great sense of accomplishment and have a shorter list to work from. 4. Team up with others to complete your goals. Staying focus can be easier when you share the burden. Be open to working with others and holding your partners accountable for specific goals and outcomes. not only does this ensure completion of given tasks that others are responsible for but can help you stay motivated and on track. These are just some of the ways that I stay focused on my marketing projects. What are some of the techniques you use? Do you have your own incentives to complete a campaign? What other techniques do you use? Share your strategies with other readers of the Marketing Blog! Great article. There are so many opportunities to become distracted. Scheduling time to tune-in and being disciplined to tune-out has been very helpful, at least for me. Yes! Yes! Yes! I try to keep everything in my head too. I run around 15 websites at any one time and think that it's perfectly normal to keep every single marketing idea floating around in my head. Lists, goals, prioritizing and doing each task methodically is a better way to go. Great post! Thanks for sharing. I really agree about making "things to do" lists. Like you said, I thought for a long time that I could keep everything I had to do mentally and that I didn't need those lists... Then I discovered them! I know it seems somewhat obvious but contrary to what I thought, I was now a lot more productive, and wasting less time on trying to think on what I needed to do next. It's true, it's not always easy to follow his plan when we work on the web. When we are independent, we must be particularly focused on daily goals to advance. Nice steps to keep maintaining daily schedule for online marketing and it's promotion. There is a great book called 'Eat That Frog' by Brian Tracy that deals with focusing, planning, and taking steps each day to accomplish larger goals. Although he would probably agree with most of your suggestions, the one he would disagree on is knocking out the 'little' things first. The concept of the book is that your 'frog' is the one thing each day that you might not want to do, but could have the biggest impact on what you. So - he suggests 'eating your frog' first thing in the morning - that way....you've already done the 'worst' thing there is to do and everything else should be a breeze because you are not 'dreading' the 'frog'! It's a great book - our whole sales and marketing staff read and discussed it. Great post! I agree 100% that it is really easy to get side-tracked from social media; love the steps you posted and will definitely be trying them! Firs step done, now, as you wrote, I need to improve in prioritizing them. 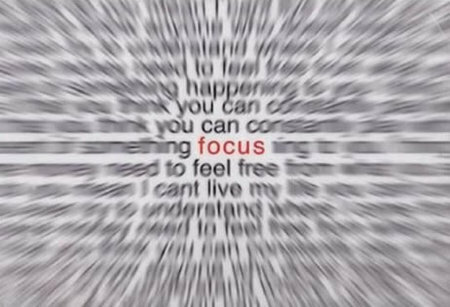 Staying focused is so important when you are looking at social media. So many people waste hours on 'playing' on social media platforms and are left with no real result. Doing a to do list always works for me. It's like a continual wrestling match to stay on course for completing tasks - firefighting can often take center-stage leaving actual productivity in its wake! Sometimes the tasks that had been taken fore granted as 'a given' get thrown off track by a roadblock and just finding your way back to 'Square 1' can seem like a victory in itself! My advice is try and walk away from the battle with at least some spoil, no matter how seemingly minor. Well said that those who are successful with online marketing or marketing in general have learned to focus. Nice strategies for staying focused on your most important marketing projects and getting them done. Great article, I had issues with staying focused when I was trying to use social media marketing for my business, its just too much work sometimes so I out sourced it to Tazoo marketing agency. I might take some advice on this article and try it out for myself again. I understand it's sensible to only check Twitter at set times,but how do you suggest you don't miss out on fresh relelvant tweets that you need to act on there and then? i've tried checking Twitter just a couple of times and just find i miss out on news and am too late to pass it on or comment - I've missed the boat! Any thoughts onthis as I do agree it is a time waster to have it on all the time. Many thanks. 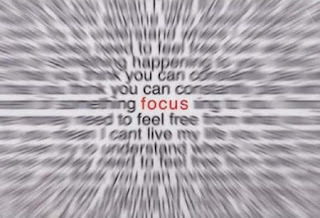 Staying focused is key and can be hard when trying to manage many task. I really like your method of writing down all daily task before going to bed. I will have to incorporate that. Thanks! Buy Instagram Followers, Buy Instagram Likes, on cheap rates, click here to visit now and become popular among all!